What do you get when mass immigration from places like Gaza and the Middle East clash with Canadian principles? Exactly what happened in Calgary and Toronto. Saima Jamal apologized to the people of Canada for the violent attack on peaceful pro-Israel picketers during the July 18 pro-Gaza protest she organized. Here is what happened. On July 18, approximately 800 pro-Hamas supporters chanting venomous anti-Israel slogans marched on Calgary’s City Hall to show their support for Palestinians in the ongoing war in Gaza. According to video footage, what appears to be three or four men holding Israeli flags engaged in a discussion with some of the Palestinian supporters, who became increasingly angry. Moments later, a man from the Palestinian crowd grabbed one of the Israeli flags. When the pro-Israel man tries to grab it back, he is sucker-punched and assaulted. The violent mob quickly punished the family for daring to hold a pro-Israel sentiment in public. Six or seven guys jumped on one teenager who had a Star of David on his shirt, punching, kicking and biting him before tearing his shirt off, beating him to the ground and stomping on him. Samantha’s 52-year-old mother, who recently had hernia surgery was punched in the stomach, spit on and knocked to the ground. She had to be taken to hospital. Samantha then recalls getting punched in the face and the back of the head before some woman-beating-coward grabbed her by the hair, yanked her to the ground and began stomping on her. Samantha’s cousin, 20-year-old Jake Birrell’s offense was wearing a flag of Israel. A crowd of men jumped and pounded on him before tying the Israeli flag around his neck like a noose and dragging him through the street. After getting free, he says he ran for his life from approximately 25 men who chased him through traffic. A police statement posted to Facebook called the violent attack a “disruption” at a planned protest. Whose violence might that be mayor? The left-leaning Calgary Herald actually blamed the six pro-Israel supporters on the far side of the street for inciting the pro-Hamas supporters. It said Samantha antagonized her attackers by arguing with them (supposedly for the two minutes she was on the other side of the street). To support its position that the Jews were at fault, the paper then quoted Aislan Ali, a Palestinian supporter who also said the pro-Israel side had provoked the violence by virtue of showing up at the demonstration. “The (Palestinian) people, their families are dying back home, so whenever they see these people coming here, provoking us to fight, then a fight starts,” Ali said. The government-funded Canadian Broadcasting Corporation (cbc) took a similar line, blaming the six family members on the far side of the street for aggravating the mob into crossing the oncoming traffic and attacking them. The Calgary city police say it’s investigating, but over two weeks later, still no charges have been made. cbc said that because the victims, all six of whom ended up in the hospital, did not die, charges are unlikely. Much of the rest of Canadian media ignored the story until the Sun’s Ezra Levant (who is similar to America’s Glenn Beck) finally shamed them into reporting the disgusting events—although predictably, they mostly reported on how sorry Saima Jamal said the Palestinian community was that a few people acted inappropriately. It would have been nice if the cbc and others had done even a little digging. On the day following the attacks, Saima wrote on her Facebook page: “Bahaha … after today, they would be foolish to show up again in another protest in Calgary as long as they live.” Calgary United With Israel, an organization that advocates for the security of Jews and Israel, has a screen shot of it. Other posts of hers talk about Israel “gassing Palestinians,” the Israeli Army “invading the Al Aqsa Mosque,” “merciless killing of Palestinians,” “genocide,” and other inflammatory lies. So what is it? Does one of the more prominent faces of Calgary’s Palestinian community really condone these attacks against Jews or not? Does the media even care? Or are they too afraid of offending Arabs who have obviously not adopted Canadian values? More importantly, do the people of Canada condone these attacks? Do they approve of this militant Palestinian action? Where is the outrage from this multicultural country that is supposedly proof that people of differing ethnicities, religions and nationalities can live side by side in peace—even as their families kill each other back home? This isn’t the first time this kind of Palestinian extremism has led to ambulances and hospital visits either. Earlier in July, another mob of pro-Palestinian extremists violently attacked those who “provoked” them with their presence. In that case, about 200 Palestinian supporters beat up a handful of pro-Israel Canadians. In a scene that looks like it could be right out of Gaza, the Palestinian radicals used their flagpoles to batter people on the street while yelling, “Kill the Jews.” One video shows a man sitting in a pool of blood before an ambulance arrives to take him to the hospital. Despite a video showing police being assaulted and the fact that over 20 police vehicles and a swat team were forced to intervene, what was the police response? They arrested the pro-Israel supporters. Only later, when footage surfaced of the Palestinian supporters beating people with flagpoles, did the police charge two of the pro-Palestinians. And the cbc? Don’t look for the video there. You won’t find it. The public news agency does, however, have plenty of coverage of people accusing Canadian Prime Minister Stephen Harper of war crimes for his support of Israel and lots of pictures of Palestinian and Islamic red-crescent flags in Toronto streets. All the Hezbollah and Hamas flags seemed strangely absent from the cbc. 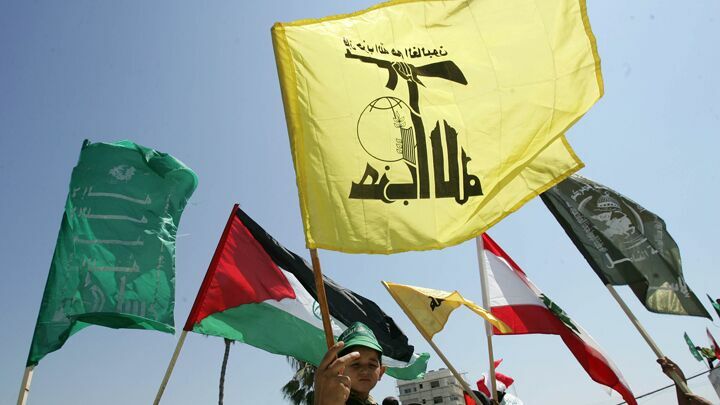 Both Hezbollah and Hamas are terrorist organizations that promote kidnappings and suicide bombings of civilians. To see so many Canadians wearing clothes covered in terrorist insignia is disturbing. To see their anger and violence is a clear warning. Canada’s social experiment of importing millions of immigrants from nations whose cultures differ so dramatically from traditional Western heritage is backfiring—horribly. 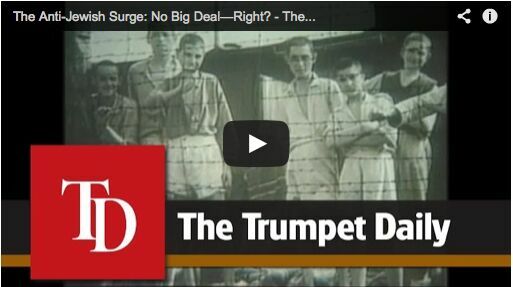 Watch “The Anti-Jewish Surge: No Big Deal—Right?” to learn more about the anti-Semitic revival. How long before Hamas, Hezbollah, Islamic Jihad, isis, Tamil Tigers, Babbar Khalsa, Mojahedin-e-Khalq and other radical groups’ family members introduce jihad to Canada? Shiite versus Sunni; Arab versus Israeli; Ethiopian versus Somali; Croat versus Serb; Armenians versus Turks; Turks versus Kurds—how long of a list do you want? Sacrificing Canadian national heritage to celebrate, maintain and promote the varying cultures and distinct international identities within the nation in the hope it will encourage social cohesion is folly. This policy, called multiculturalism, is doomed to fail. It is impossible for greater national unity to result from greater differences. Sadly, few in this obsessively politically correct world see the danger of a house divided against itself, so revolting “protests” like the one in Calgary—and worse—are guaranteed to explode again. Watch Stephen Flurry’s Trumpet Daily “The Anti-Jewish Surge: No Big Deal—Right?” to see what is really driving the anti-Semitic revival.